A few weeks ago I introduced you to Dial's new Miracle Oil Body Wash. They've also come out with a new Miracle Oil Hand Soap that I am in love with! Dial Miracle Oil Hand Soap is infused with Marula Oil to help nourish and hydrate you skin. It is made to protect you from skin-damaging free radicals. I can use all the help I can get with hydrating my skin! With recently moving to Florida and now that I am getting older, I need to really start working on protecting my skin! 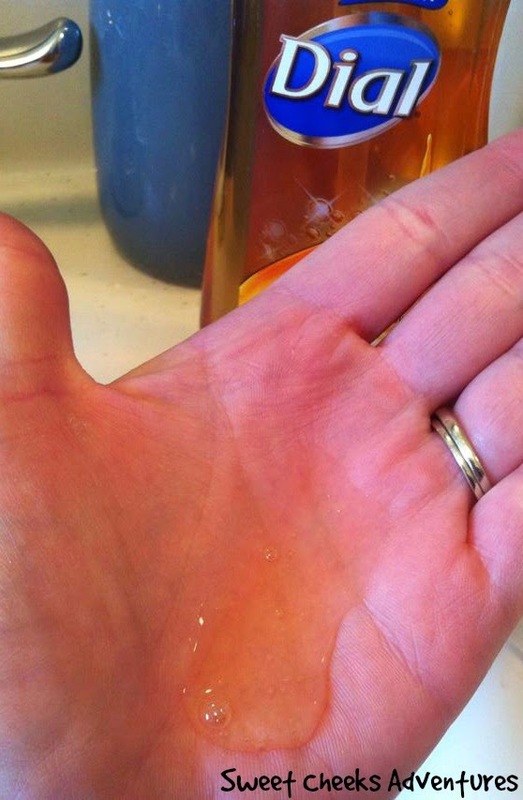 As you can see in the picture, this hand soap isn't too thick. I've been using it for a bit of time now and I love that I don't have to fight with the soap to wash off. It lathers up nicely and washes away with ease! I can't deny the scent either. It is a scent that I have come to love with the body wash and I'm so happy to have it to wash my hands with now! 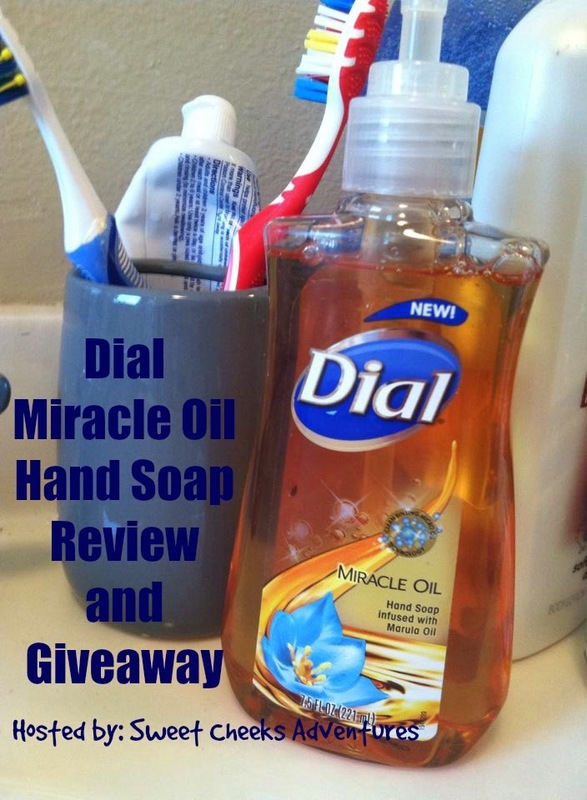 Want to give this new Dial Miracle Oil Hand Soap a try? Keep reading.. There's a GIVEAWAY! Dates: Starts April 10, 2015 4pm EST. Winner will be chosen April 24, 2015 11:59 pm EST. This review is based strictly on my own opinion. Others may have different opinions or experiences with the products mentioned above. I was provided samples free of charge by the company or a PR Agency. I have provided my open and honest opinions. No other type of compensation was received for this review. The winner's coupons will be mailed by Ashley from Sweet Cheeks Adventures. All other prizes will be distributed by Purex. No I do not depend on the smell !! Scent makes a lot of difference is the hand soaps I purchase. I like good scents for my soap. Love this soap!!!!! It makes my hands smell and feel so soft, great review! I just love how this hand soap smells and it makes my hands feel really good too! Not really, honestly. If I know the hand soap works, then I get it. I do avoid floral scents because they cause allergy issues. I do mostly rely on scents when purchasing a product such as this. I don't rely on scent when buying hand soap, I go buy the price sometimes!! Thank you!! I do mostly rely on scent. I like fresh, fruity scents that are not too overpowering and strong. I am usually the girl in the soap aisle opening them to smell them! I think the scent is one of the first things I look for but also things like lathering. I rely on price and function when I pick my hand soap. I don't normally get a lot of choices since I mostly get the big refill bottles.